There is a group of computer infections that do not cause direct damage to your system, but it can seriously impede your system’s performance. In this case, here we deal with a miner Trojan that will not destroy your data, but it can slow down your system to the point you can no longer open even the most ordinary programs. 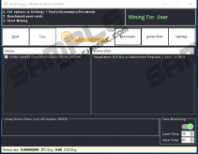 Miltipool Miner is not something you should tolerate, so the moment you notice that your system’s performance has become sluggish, you need to scan your PC with a security tool, and if the infection is found, it is necessary to remove Miltipool Miner immediately. The reason we have so many mining Trojans around nowadays is the current hype surrounding cryptocurrency. The most common cryptocurrency is the Bitcoin, although there are many other types of digital currencies out there that can be mined on the desktop and even mobile devices. Mining Trojans could make use of various methods of distribution. Some spread through spam emails, some may come via messaging applications through social engineering scams, and some may also come bundled with freeware. So there are a lot of ways to get infected with mining Trojans, and users have to be careful when they encounter unfamiliar content online. 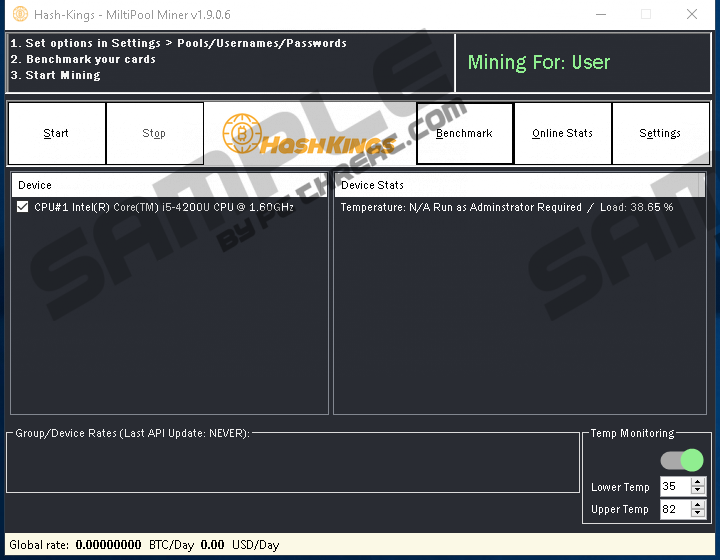 Miltipool Miner itself is a version of the Hash-Kings tool that was modified to mine cryptocurrency. According to our research data, the program usually comes bundled with third-party tools. It means that users download and install this Trojan willingly, although they are probably not aware of the application most of the time. It is very common for a Trojan because users seldom realize they are setting up a dangerous program on their computer, as it masquerades as something else. Nevertheless, there are certain security measures that you can take to avoid getting infected with Miltipool Miner. Since this miner Trojan usually travels bundled with freeware, it might be possible to avoid the infection if you refrain from downloading freeware applications. Usually, freeware applications can be found at third-party websites. The problem with third-party websites is that no one can guarantee what kind of content is hosted there. Even if you find a particular program you need at some freeware page, you have to keep in mind that third-party installers often bundle several applications together, and if you go through the installation automatically, you might add all those unnecessary programs, too. This is also how Miltipool Miner may enter your system, too. At first, you will not notice anything out of the ordinary when Miltipool Miner gets installed on your computer. The miner will work in the background, mining cryptocurrency, stealing your system’s resources little by little. Initially, other third-party tools might be a bigger problem, especially if they collect your personal information. However, the longer this Trojan remains on your system, the more system resources it will hog, and you will soon realize that it takes a lot of time to load even those programs that used to pop up on your screen immediately. So what are the main symptoms that may suggest that your system has been infected by Miltipool Miner? Computer security experts say that once you notice your computer performance has slowed down in general, it is the first red flag that something might be wrong. Also, if your CPU and the graphic card cannot seem to support the programs and the files you want to open, it may also mean that some third-party program is hogging your system’s resources behind your back. You might also hear random weird sounds coming out of your computer even though you have not clicked anything. Not to mention that if your mouse does not move for a few minutes, something is definitely off. The main problem with removing Miltipool Miner is that manual Trojan removal might be too challenging for a regular computer user. We will tell you what you have to look for when you want to delete this intruder, but from our experience, we can tell that it is a lot more efficient to use an automated antispyware tool to terminate this and other potential threats. After all, it is very likely that you have more than one unwanted and dangerous application on-board. Remove all the unfamiliar files. Delete unfamiliar folders from your Desktop. Delete unfamiliar files from the directory. End unfamiliar processes that take up a lot of memory. Quick & tested solution for Miltipool Miner removal.